Nice staff, our room was ready at arrival, we only needed the room to sleep so it was perfect for our needs. Don't expect luxury, but for this price you can't be picky. The host was extremely kind, the apartment was quiet, we really had privacy. The view is simply the best! The very BEAUTIFUL view to seaside!!! There are kitchen and washing machine. El apartamento era limpio,cuidado y muy bien situado,sin problemas de aparcamiento. Es la segunda vez que nos alojamos en un piso Zodiac (con vistas al mar), y esta vez fue mejor que la primera, el piso nos gustó más. La ubicación es excelente, en el mismo paseo marítimo, y las vistas al mar, y ver la salida del sol por encima del castillo, no tiene precio! :) El piso es sencillo, normal, no es moderno y lujoso, pero está bien para el precio que hemos pagado y la ubicación; un piso de lujo con estas vistas, costaría muchísimo más. Estefania, la dueña, es super amable, muy flexible y dispuesta a ayudar, y se preocupa por todo: nos mandó mensajes y nos llamó para avisarnos de los horarios cuando cortaban el paso a los coches en el Paseo (fuimos en Carnaval). Para nosotros será la primera opción de alojamiento si volvemos a Lloret de Mar. 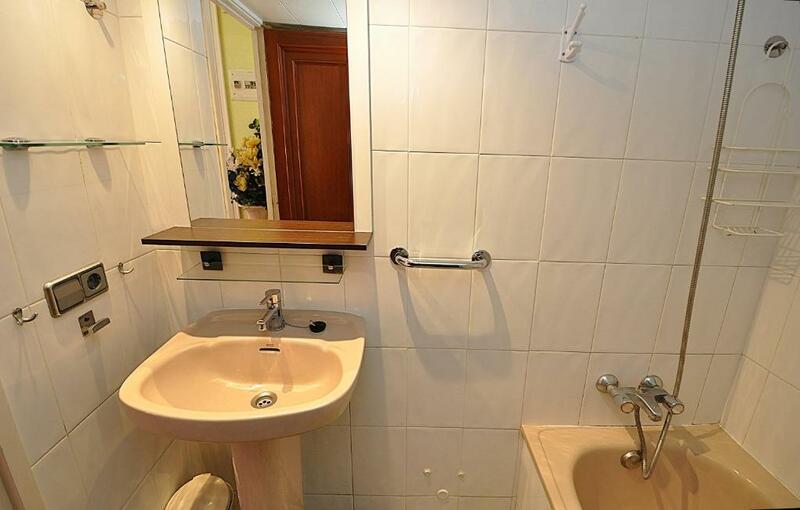 Ubicación,condiciones del apartamento, trato del personal (SraStefania) muy profesional. 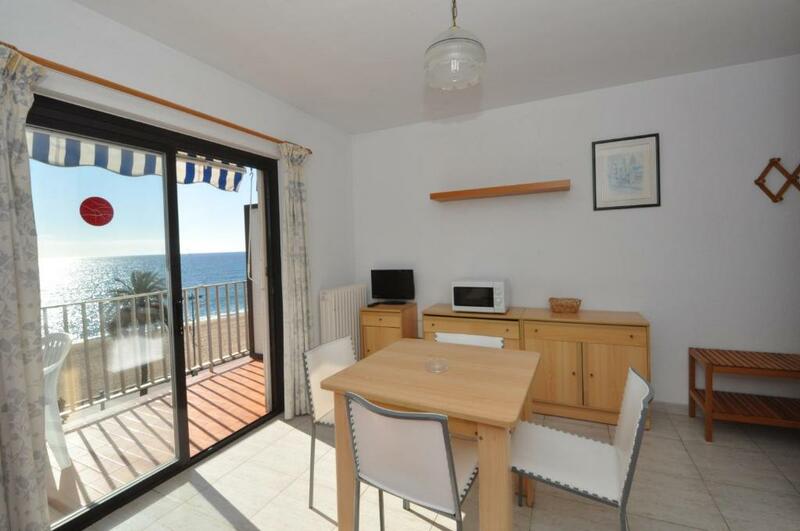 One of our top picks in Lloret de Mar.These simple apartments are located on Lloret de Mar’s seafront promenade, just 100 feet from the beach. Each one has a kitchenette and a TV. 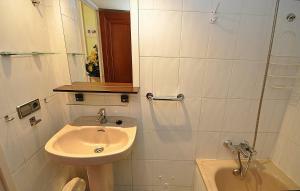 All Zodiac apartments have a twin bedroom with a safe and a bathroom with a bath or shower. There is a double sofa bed in the living-dining area. Wi-Fi is available free. 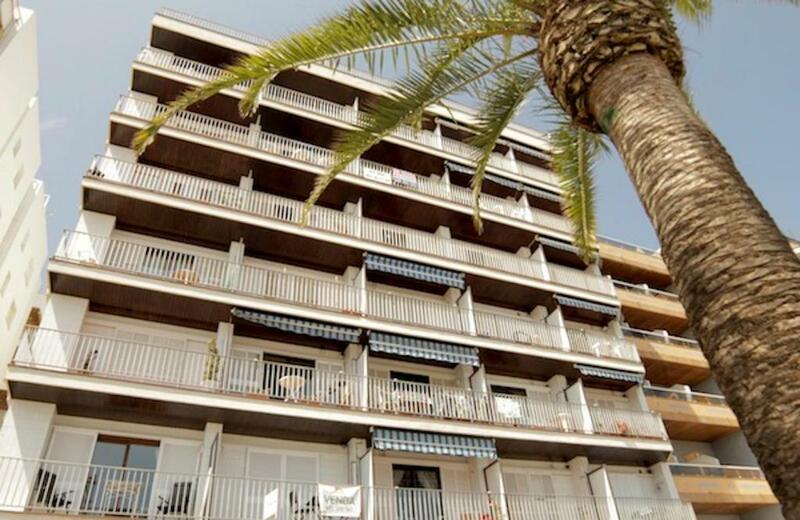 Apartamentos Zodiac are within a 2-minute walk of shops, restaurants and lively bars. Lloret Castle is only 1,500 feet away. 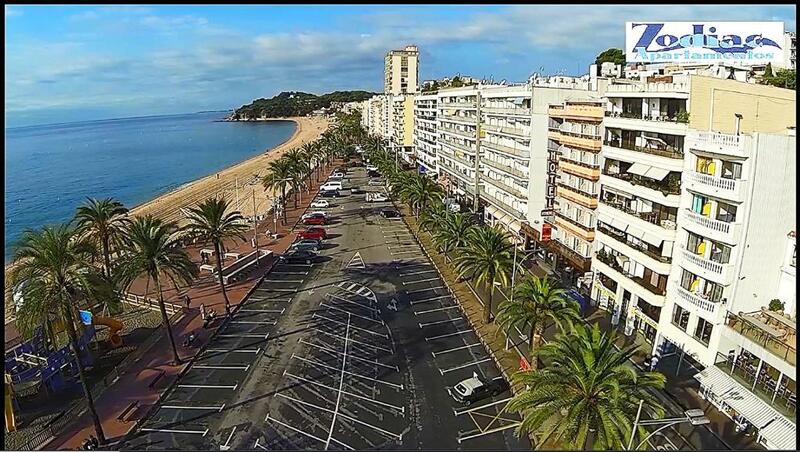 Staff at the apartments can arrange car rental and provide maps and information about Lloret. They can also recommend excursions in the Costa Brava region. Public parking is available opposite for an extra charge. When would you like to stay at Apartamentos Zodiac? This apartment has a furnished balcony with views of the sea. 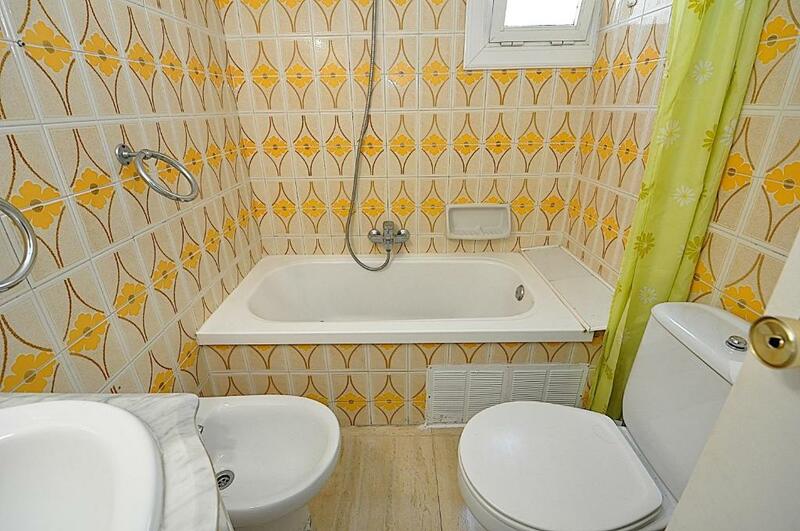 It comes with a bathroom and a kitchenette. There is also a TV. This apartment has a furnished balcony. It comes with a bathroom and a kitchenette. There is also a TV. House Rules Apartamentos Zodiac takes special requests – add in the next step! ANCV Chèques-Vacances Apartamentos Zodiac accepts these cards and reserves the right to temporarily hold an amount prior to arrival. Apartamentos Zodiac accepts these cards and reserves the right to temporarily hold an amount prior to arrival. Please note that late check-in after 21:00 is available under request, and carries a EUR 50 surcharge. A damage deposit of EUR 150 is required on arrival. That's about 168.65USD. This will be collected by credit card. You should be reimbursed on check-out. Your deposit will be refunded in full by credit card, subject to an inspection of the property. Please inform Apartamentos Zodiac of your expected arrival time in advance. You can use the Special Requests box when booking, or contact the property directly using the contact details in your confirmation. Cheap as it can be. For example there is only one roll of toilet paper (in our case 4 people 4 nights). No air con and VERY loud during the night, there was not possible to sleep there! Please pay a little bit more and choose something else. Not so easy and really expensive to find parking place. There was no free wifi and you had to pay for parking, there is no air con. The phone number gaven to me was phone number of the office, where were no more stuf at late hour when I arrived so I had a short complication. It would be better if booking would give host's cell phone number. No heating. Night time it was freezing. Very good location. Amazing sea view. I don't like to write negative feedback, but I was very disappointed!!! I ordered the room with a view of the seaside and with 2 separated beds in the bedroom (for the children). But I have got: The room with one double bed. The appartment is very old furnitured. The appartment didn't correspond to the photos published on the booking.com side. During in my stay in the appartment, there weren't hot water. Additionaly the place there the appartment is located is very noisily. We had to come back to the apt.to take rubbish away at check out. Nothing,looked at the room and walked away.